Are Your Symptoms Caused by Mold Allergies in Seattle? Posted on October 18, 2013 at 1:08 pm. Does Mold Cause Allergic Reactions? Do you feel like you are “doomed” to live with cold symptoms forever? Is it one of those seasonal colds or sinus infections that you just can’t get rid of? Maybe it’s not a cold or sinus infection at all…maybe you have a mold allergy. Mold allergy symptoms are frequently thought to be cold symptoms, the big difference is that cold symptoms eventually go away – mold symptoms remain as long as you are exposed to mold spores. Does Mold Affect Everyone the Same? Not everyone has an allergic reaction, but those who do can become very uncomfortable, even to the point of becoming very ill. In fact, if you’re someone who suffers from asthma, exposure to mold may cause your asthma symptoms to get worse. Weakened immune systems such as people going through chemotherapy, those who have HIV and those who have had organ transplants. How Does Mold Make You Ill? Mold is a living organism (a fungus) that grows and reproduces as tiny, microscopic spores are formed and released into the air. As the spores land on a surface that offers them what they need to live, moisture and organic materials for food, they can begin to grow. Because mold spores are always in the air around us, whether we are inside or out, they can find their way into our bodies naturally as we breathe. This usually isn’t a problem unless the mold spore levels are too high. If you’re experiencing symptoms that just don’t seem to go away, you should examine those places where you spend a lot of time, home or work, to see if there is mold growing there. In your carpet or behind your wallpaper. One family had a leak from their dishwasher they weren’t aware of. Over time, the linoleum on their kitchen floor started turning gray. As they investigated and found the leak, the mold on the linoleum and on the plywood flooring became evident and had to be replaced. You may need an expert to locate and determine the extent of the problem. Contact us if you think you have a mold problem – we know what to look for, where to find it, and what to do when its found. How Quickly Does Water Damage Need to be Dried? Posted on August 28, 2013 at 1:47 pm. When most people think of water damage, the first thing that pops into their mind is damage from floods. Floods are devastating, and happen only periodically…but there is water damage that happens frequently, is more common place than floods and can cause a great deal of damage. Whether the water damage comes from one source or another really doesn’t matter, unless it is dried out completely and quickly it can result in damaged carpets, flooring and furniture, all of which can lead to costly repair bills. 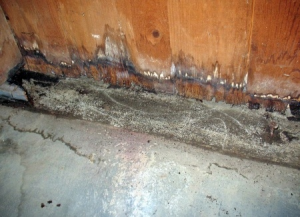 Mold growth is another by-product of water damage that hasn’t been dried out soon enough or thoroughly enough. Not only will mold damage your possessions, but it can damage your health as well, causing or increasing respiratory problems, headaches and other illness. I keep saying how important it is to dry things out as soon as possible because mold can begin to grow in a very short period of time, between 24-48 hours. And once it starts, it can spread rapidly. The best way to prevent mold is to go to the root of the problem, find out where the water damage is coming from and eliminate the source and get things dry. If the damage is larger than you can handle, you should contact professionals who will come in and take care of things properly. One family had just moved into their brand new home. They had installed a Jacuzzi tub in the master bedroom and decided to let their children be the first to use it. With their swimming suits on, the water heated, they were ready to take the “plunge”. Just as they were climbing in, they heard a loud “pop” and the water level began going down. Some of the plumbing had broken, and 500 gallons of water emptied out onto the master bedroom floor, then down through the ceiling into the kitchen and from the kitchen if flowed into the crawl space. The homeowner quickly called a water damage restoration company who told him to immediately rip up all the carpeting and carpet pad and toss it outside. Several fans were set up inside the home to help with the drying out process, carpets were cleaned, dried and stretched and insulation from the crawl space had to be replaced. Although the family couldn’t avoid all the damage, they were able to avoid the beginning of mold growth and the damage it would have caused. Once water damaged is discovered, acting quickly can help you prevent the onset of even more extensive damage. How Can You Get Rid of Bathroom Mold? Posted on May 17, 2013 at 11:11 am. How do you remove mold in the bathroom? Mold has plagued people down through the ages, you can even read about how to properly handle mold in the Book of Leviticus in the Bible. Because, unlike plants, mold (which is a fungus) does not make its own food, it depends on organic materials to sustain itself and grow. It’s sole purpose is to help dead bugs, trees, and leaves to decompose. Can you imagine a world where mold isn’t doing its job…it would be covered with all kinds of dead stuff that hasn’t been broken down and returned to its natural state in the environment. So as long as mold is outside, doing what it’s intended to do, everything is fine. But the minute mold spores enter our homes, and it does every time a window or door is opened, it begins to grow and destroy the things we don’t want it to, like our walls, ceilings, draperies, paint, wallpaper, carpets, and because it can be toxic, our health. One of the easiest places for mold to get started is in your bathroom where it will often find excess humidity, dampness and plenty of organic material to feed on. If mold needs organic material to feed on, why do you find it growing on non organics like bathroom tile, windows or mirrors? Because, if a non porous surface is not cleaned regularly, oils can build up on them, which mold can feed off of. Surfaces such as these can be easily cleaned with disinfectants, and if your bathroom has a tendency for mold growth, frequent cleaning is a must. If it’s not cleaned off immediately, because it grows so fast, mold can move to walls, ceilings and flooring where real damage will begin. Decrease humidity by always using ventilation when showering or bathing. 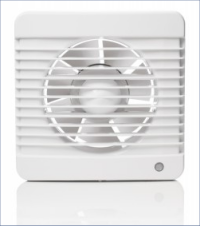 If your bathroom doesn’t have an exhaust fan…get one installed, and at the very least, open windows. Clean surfaces on a regular basis with a product that will kill the mold. Do not have carpet installed in your bathroom. Several years ago it was a trend to carpet your bathroom, but obviously with all the wetness and moisture in the air, it’s not such a good idea. If you find mold growing on the walls and ceilings in your bathroom, there is probably a deeper problem that needs to be addressed, and this type of mold growth will need stronger measures than a disinfectant to remove it permanently. What are the Real Facts About Mold? Posted on February 21, 2013 at 3:54 pm. If you look throughout the internet and through various news articles, you can find a lot written about mold, how it grows and its adverse affect on people. 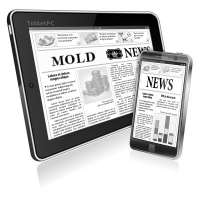 You can especially find a lot of information about it in conjunction with the victims of Hurricanes Sandy and Katrina. Those people didn’t have a chance at preventing mold from taking over their homes; because they had to be evacuated for extended periods of time, and because mold growth begins within 48-72 hours after water damage occurs, they were destined to have mold infestations. Here in the Seattle Washington area, yes we have our share of flooding, but we also have a lot of moisture in the air all the time; moisture without ventilation is a formula for mold growth. 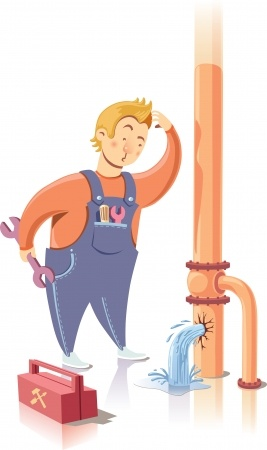 Of course there are other ways for mold spores to find the moisture they need in order to begin growing: plumbing leaks, condensation, leaky roofs or or blocked rain gutters. Mold grows in colonies that give off a musty odor. There is a certain amount of mold in every home or building…it can never be eliminated because it is a natural and necessary element of nature that enters your home everytime a door or window is opened or someone comes in. Mold can become dormant, but will not go away on its own, it needs to be removed (remediated). The presence of mold doesn’t affect everyone, but for so many, mold exposure is from mild to extremely deadly to their health, especially, the very young, the elderly and those who already have respiratory problems. Mold has been known to cause over 30 health problems. It is the airborne spores, that when breathed in, cause illness. Not only does mold like moisture, but it prefers to grow where there is no light. Not all molds are dangerous – penicillin is actually derived from mold. Mold can grow in the duct work of your heating system. New homes are just as likely to have mold growth as old homes. 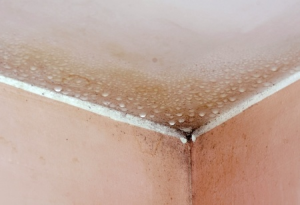 Mold growing on non-porous surfaces such as glass or ceramic tile is easily cleaned with detergent and water – but when mold is growing on walls, ceilings or wood you should probably hire a professional remediator. Posted on February 8, 2013 at 2:05 pm. “Mold is Dangerous”…True or False? A couple of online forums have people asking about the dangers of mold, and it’s very interesting to see all the different answers that are given. It seems to me that if you think you have a mold problem in your home or business, forums comprised of non-professionals might not be the best place to get information. Toxic mold can be extremely dangerous to your health…if I thought my home had mold issues, I would want to talk to someone who is trained and certified in mold detection, remediation and prevention. Is Mold Exposure Dangerous to People With Weakened Immune Systems?